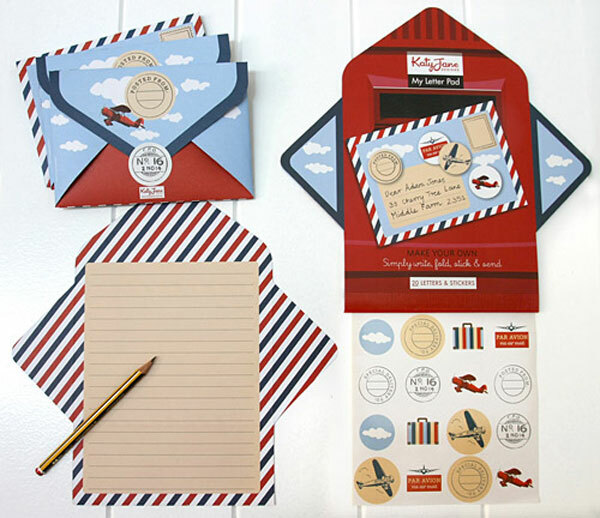 KatyJane Designs - styling up mailboxes everywhere with clever children's stationery! 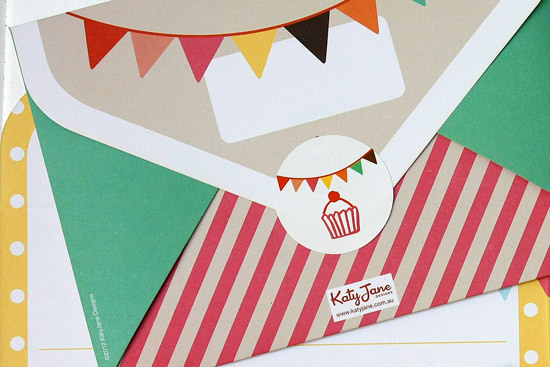 KatyJane Designs – styling up mailboxes everywhere with clever children’s stationery! As a child I had many pen pals – from cousins and aunts far away to the girl next door. I’d spend any spare minute penning a quick letter to whomever was willing to receive it. But now? Well sadly, I’ve become reliant on email and I’m fairly certain my children have never posted a letter they’ve written to anyone, anywhere. This will be a new goal for my tribe in 2013 and here’s the perfect way to start! 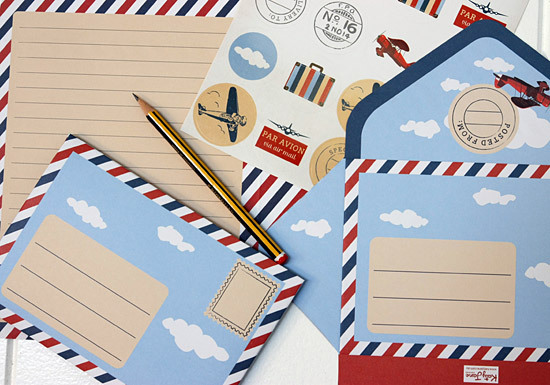 Because I don’t think it’s going to be an easy task to get my children to write to their aunt on the other side of the country about not anything particular, I need to entice them with some truly delectable stationery and these from KatyJane Designs are just that. 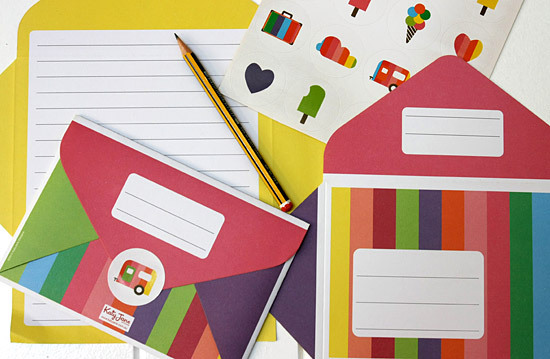 KatyJane Children’s My Letter Pads are available in four themes – Rainbow, Vintage Bluebird, Airmail and Party Bunting and all packs include twenty letter sheets and twenty stickers. Once your child has penned their letter, the piece of paper folds into an envelope and is secured by the sticker seal – talk about easy and looking spectacular in your recipient’s mail box! At only $14.95 per set, KatyJane’s Children’s My Letter Pads make a fabulous Christmas or birthday gift – but don’t forget to add a few postage stamps if you hope to receive a letter yourself!